Home/HVAC/Why Isn’t Your Air Conditioner Blowing Cold Air? Check your thermostat to see if it’s working properly. There might not be anything wrong with the rest of your AC, the filters might not be clogged, the motors might be all right. If the thermostat’s settings aren’t right, then your AC won’t be blowing the right temperature of air for you. Simply adjusting your thermostat might correct this. The thermostat could also be malfunctioning. Electrical issues might have cause it to burn out or the batteries might be dead. If that’s the case, all that’s required is for the thermostat itself to be fixed, not an overhaul of the entire AC. Is it Especially Hot Outside? 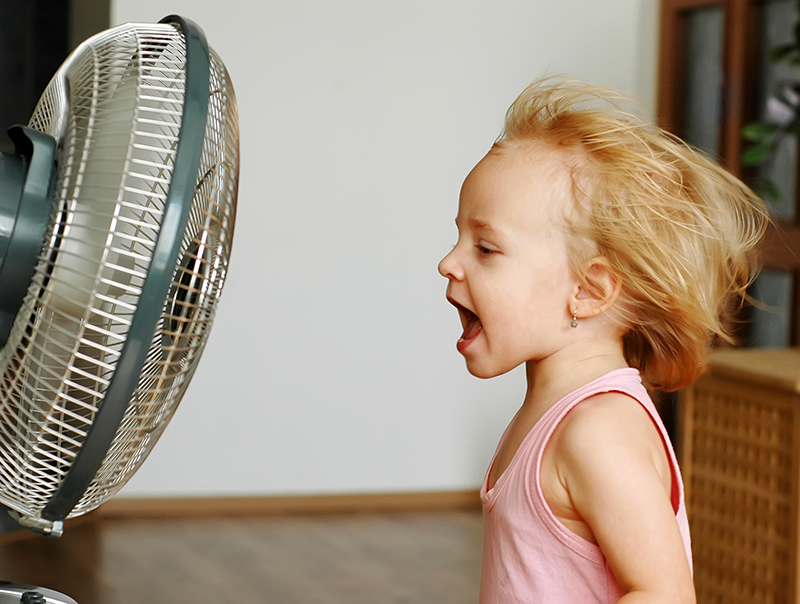 If it’s really hot outside then even a perfectly functioning AC might not be able to make your home any colder. You might need other tactics, like closing windows and shutters, or getting ceiling fans. Strategic landscaping could help, if you plant trees around your home the shade could help keep your house cool. 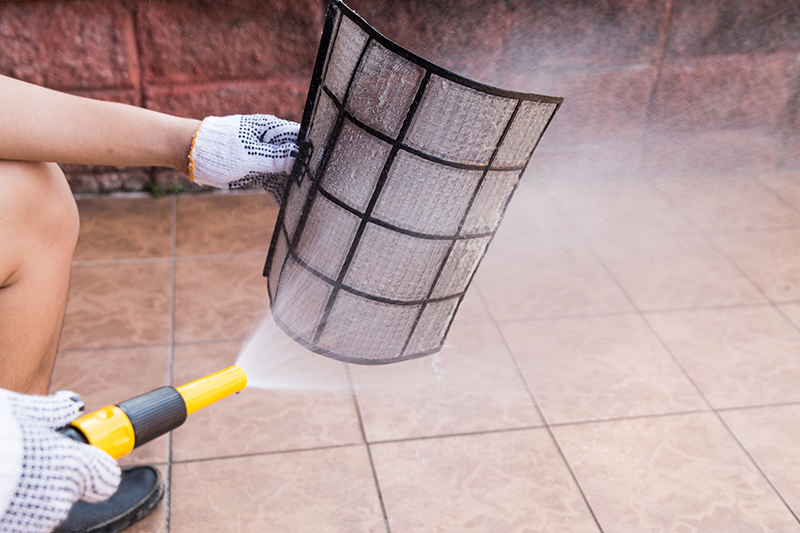 Your filters might be clogged and so not enough air might be getting through to your air conditioner. Impaired airflow means that the condenser unit can’t do its job, so the AC can’t cool your air… because it’s not getting enough air to cool in the first place! So check your filters, get them cleaned or replaced them if need be. That ought to do the trick. Do You Have Blocked Condensers? The air conditioner’s condenser condenser is located outside the house. If it gets obstructed by debris and dirt, or covered by weeds and foliage, it can’t do its job. Without proper airflow, your AC won’t be able to cool air. Getting rid of the accumulated obstructions, like dirt on the coils that the refrigerant flows through, could get your AC back in shape! Remember, condenser coils need to be cleaned annually to function optimally. These are some of the reasons why your AC isn’t working as well as it should be. 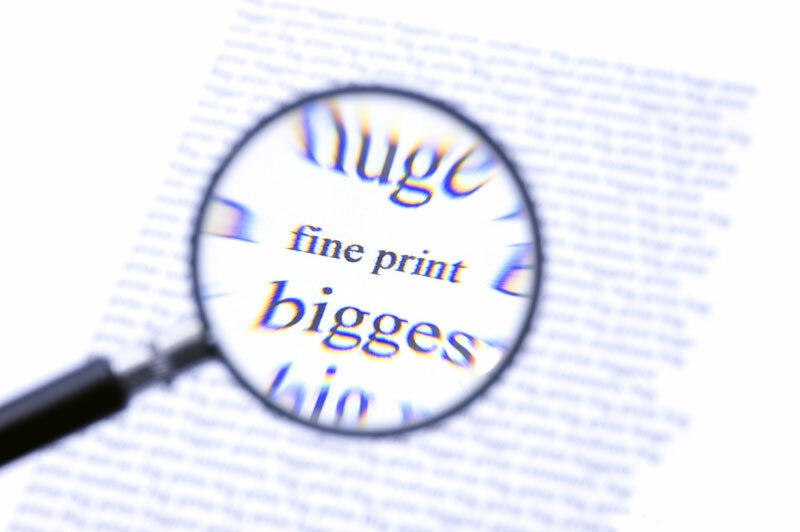 Check these before you decide to take more drastic actions. 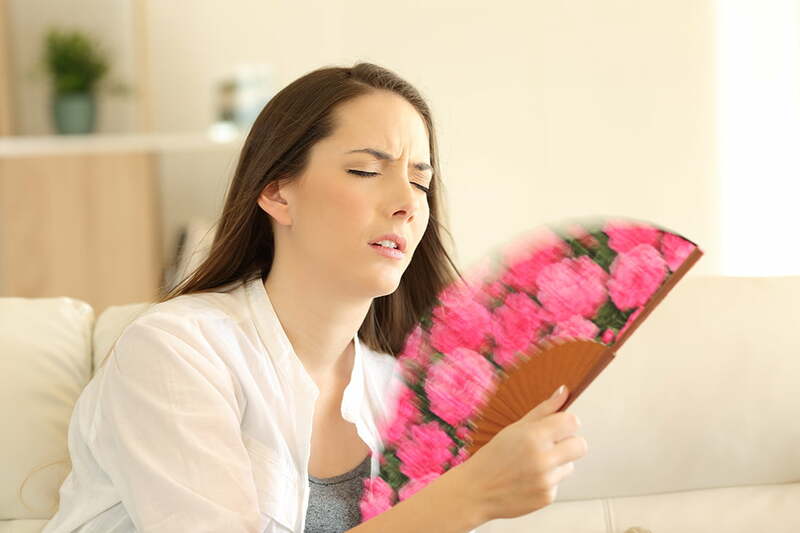 Preemptively taking care of these issues can even extend the life of your AC. It can also reduce your utility bills by reducing the amount of work your AC does trying to cool your house! What If My AC Still Isn’t Blowing Cold Air? If you do all these and your AC still isn’t blowing cold air, there may be mechanical issues with it. If that is the case, and you find yourself in need of air conditioner repair in Jacksonville, contact Florida Roof & Air for an inspection today!